Slim and affordable like its predecessor, the BlackBerry Curve 3G 9300 for T-Mobile is a great choice for those who need to be connected to work, friends and family while on the go. The easily pocketable Curve 3G features a comfortable full-QWERTY keyboard for fast, accurate typing, optical trackpad for fluid navigation, and dedicated media keys so you can easily access your tunes while on the go. Balance your busy life at work and home with the BlackBerry Curve 3G (larger image). And its now compatible with T-Mobiles high-speed 3G network, which offers fast data delivery and an enhanced Web-browsing experience that lets you connect quickly to social networking sites. Support for T-Mobiles 3G network also makes streaming music smoother and gives users the ability to talk on the phone while you browse the web, send instant messages with BlackBerry Messenger (BBM), or share your location with friends on popular social networking sites. Youll also enjoy voice calls over Wi-Fi networks (802.11b/g), in addition to fast data connectivity and access to business and home networks. And, of course, youll enjoy all the communication and connectivity features youve come to expect from a BlackBerry phone--including e-mail served up by the BlackBerry Internet Service and a full menu of messaging options (SMS, MMS, and IM). The built-in GPS supports navigation and location-based services via the included BlackBerry Maps application. A hot-swappable microSD/SDHC memory card slot provides additional storage for multimedia files and archiving applications, with a 2 GB memory card included and support for optional 32 GB cards. Other features include a 2-megapixel camera/camcorder, Bluetooth 2.1 connectivity for hands-free devices and stereo music streaming, visual voicemail for easier access and response to voicemails, and up to 4.5 hours of talk time. 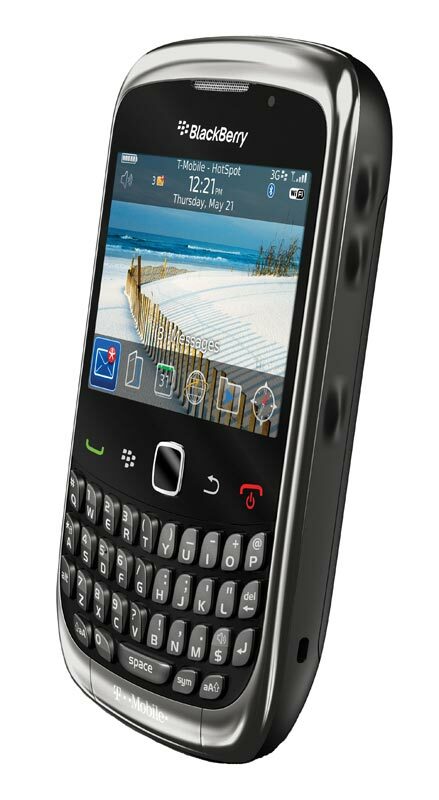 The BlackBerry Curve 3G 9300 weighs 3.8 ounces and measures 2.4 x 4.3 x 0.6 inches. Its 1150 mAh lithium-ion battery is rated at up to 4.5 hours of talk time, and up to 456 hours (19 days) of standby time. It runs on the 850/900/1800/1900 MHz GSM/GPRS/EDGE frequencies, as well as T-Mobiles 3G network (1700/2100 MHz). In addition to its quad-band GSM connectivity, this phone is also compatible with T-Mobiles UMTS/HSDPA 3G network, which operates on the 1700/2100 MHz AWS spectrum. This phone is designed to automatically connect to the best available network (3G or GSM/GPRS/EDGE) to provide faster data speeds when accessing the Web. In areas where the 3G network is not available, youll continue to receive service on the via T-Mobiles EDGE network (which stands for "Enhanced Data Rates for Global Evolution"). This high-speed, mobile data and Internet access technology is fast enough to support a wide range of advanced data services (with average data speeds between 75-135Kbps), including full picture and video messaging, high-speed color Internet access, and e-mail on the go. While this phone is optimized for use with T-Mobiles high-speed 3G network, many of its functions will also work well on the moderate-speed EDGE network. If you plan to access the Internet extensively on your phone, 3G network coverage may serve you best. T-Mobiles 3G network is currently available in more than 220 cities nationwide and covers more than 160 million people. Effortlessly transition between Wi-Fi calling and T-Mobiles wireless network while you talk with T-Mobiles Unlimited HotSpot Calling service or the new Wi-Fi Calling with MobileOffice solution for business customers. Unlimited nationwide Wi-Fi Calling requires either a Wi-Fi Calling mobile plan or Wi-Fi Calling with MobileOffice service, qualifying rate plan, broadband Internet connection and wireless router. Regular plan minutes are used when call does not originate on Wi-Fi network. As of June, 2010, T-Mobile has upgraded its traditional 3G network to HSPA+ in 25 major metropolitan areas across the U.S., and it plans to continue rolling out this network upgrade to over 100 metropolitan cities and up to 185 million people by the end of 2010. HSPA+ provides our fastest data speeds, up to 3 times faster than AT&T and Verizons standard 3G networks, while allowing simultaneous voice and data capabilities for the ultimate wireless voice and data experience. HSPA+ enabled areas will enjoy 4G-like speeds, with a theoretical capability of up to 21 Mbps peak download speeds (and typical download speeds averaging between 5 and 8 Mbps). While this 3G-enabled mobile phone doesnt offer HSPA+ compatibility, it can benefit from enhanced speeds when connecting to the HSPA+ network today. Tell us what you think about BlackBerry 9300eubk BlackBerry Curve 3G 9300 Unlocked GSM Smartphone, share your opinion with other people. 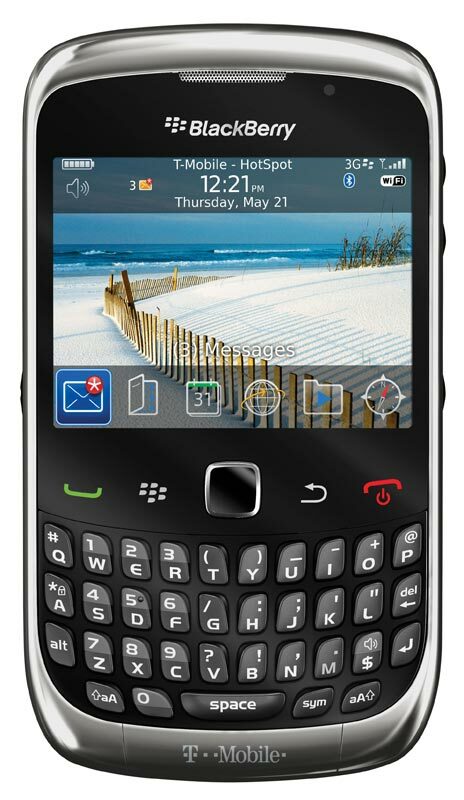 Please make sure that your review focus on BlackBerry 9300eubk BlackBerry Curve 3G 9300 Unlocked GSM Smartphone. All the reviews are moderated and will be reviewed within two business days. Inappropriate reviews will not be posted.